Wearing a lab coat with green shirt and blue jeans inside, this male is a custom doctor bobble head and he is holding a first-aid case at his left and and the other on his waist. 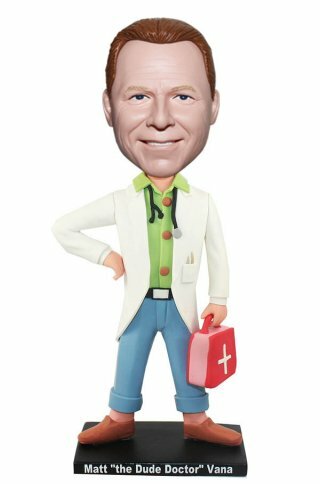 This doctor bobblehead is a humor then dull. As a long standing personalized gift, we make each gift our customers have become a unique souvenir.